While I have filled my before sleep time (approximately 3 minutes a night, it seems) with Sarah Addison Allen’s The Peach Keeper, most of my reading this week has been centered around historical research, particularly research into the late 18th and 19th centuries. I wouldn’t exactly call this light reading or even pleasurable reading in the sense of the term that means I enjoy what I read. But putting together pieces of the story, finding perspectives that shed light on something I know about the people I am researching – there is pleasure in that. 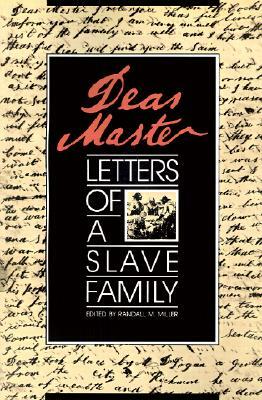 First, I’ve been reading Dear Master: Letters of a Slave Family ed. by Randal Miller. This book is a collection of letters written by the people who were enslaved on and then emancipated from the plantations where my dad works and my family has lived for over 20 years. The book contains a good introduction to the history of these places, if you want an overview, but the heart of the book – the letters themselves – is what fascinates me. I’ve been trying to decipher the tone of these missives – are the writers truly as gracious as they sound, or is there obligation tuning their tone? Also, the literacy of these people is, of course, fascinating since most American slaves were not literate and were kept from being so by action of law. The collection contains letters from people in Alabama and also from others in Liberia. Such an insightful work. 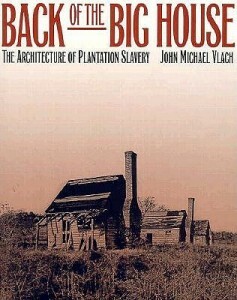 I have also been reading Back of the Big House: The Architecture of Plantation Slavery by John Michael Vlach. Vlach is a professor of American Studies, so his work delves into the cultural significance of the slave buildings on a plantation. He explores the kinds of structures that were on these places and evaluates their significance to both the institution of slavery and it’s legacy – both architectural and social – for us today. Finally, I’ve also been reading an unpublished dissertation by Boyd M. Coyner entitled John Hartwell Cocke of Bremo: Agriculture and Slavery in the Ante-Bellum South While this document is full of good information and distills a great deal of the research that is available on this subject – particularly these plantations – it has the bias of it’s time and seems to lean toward hagiography rather than critical history. Of course, for me, this is also interesting because one of the things I want to look at in my book is how our perception of history changes with time and new information. So there you have it, a list of books most of you probably won’t care to pick up, but if you’re interested in this period of history, they’re a great collection. Have you read any books about slavery or the ante-bellum period in the U.S. that you would recommend? I have exactly one week to raise $4980 to support the research portion of my book. I’m still feeling confident that we can do this, so if you’re interested in more information about the project, visit my Kickstarter page. Please feel free to share the link with anyone you know who might be interested, and if you feel inclined, your donation would be so appreciated. Thank you. Thank you. Thank you.